Home / Unlabelled / Razer is the official eSports partner of the 30th SEA Games. Razer is the official eSports partner of the 30th SEA Games. 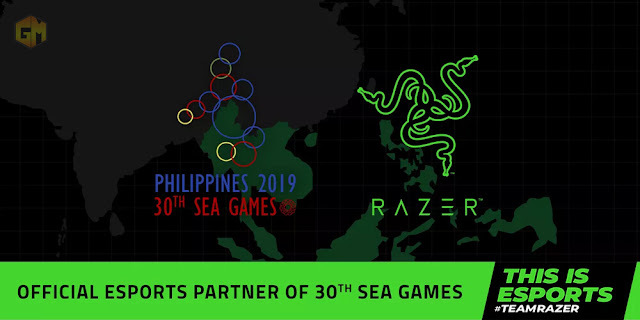 Razer announced their partnership with official esport partner of the 30th Southeast Asian Games (SEA Games 2019). As the esports is now recognized as a Medal Event at the upcoming SEA Games 2019 to be held in the Philippines. Over the past year, Razer co-founder and CEO Min-Liang Tan has led the rally to elevate esports to a recognized medal event at SEA Games 2019. A Razer delegation led by Tan met with the Philippine SEA Games Organizing Committee (PhilSGOC) and the Philippine Olympic Committee (POC) on multiple occasions to work towards this goal. The announcement marks the latest milestone in Razer’s long-running quest to boost the global status of esports. The brand has been a stalwart figure in competitive gaming for more than a decade, establishing a market leading position thanks to the trust placed by the world’s top esports athletes in its high-performance hardware. The inclusion of esports as a medal event is an important step in legitimizing esports as a true world-class sporting contest, engaging a new generation of gaming fans. As Philippines will make history as they hold the first-ever esports event as a medal category in a sports competition event. “The Philippines is the first host country to stage an esports tournament as a medal event. This lends credence to professional gaming as a true world-class sporting contest, as it engages a new generation of gaming fans,” said Alan Peter Cayetano, PhilSGOC Chairman.